Behaviour change strategies for the reduction of addictive behaviours: A focus on alcohol and gambling. Dr Simone Rodda is currently leading multiple investigations involving the use of behaviour change strategies in brief online interventions for addictive behaviours. Her work is informed by over 17 years work as a clinician, researcher and service manager in the field of addictions across smoking, alcohol, illicit drug use, and problem gambling. An update on changes to the DSM-5 for alcohol and gambling. A brief overview of screening and brief interventions for alcohol and gambling. An update on self-management techniques for alcohol and gambling as well as sugar and caffeine reduction. A goal-directed approach to support patients in selecting and implementing behaviour change strategies. Tips for assisting patients to maintain engagement in behaviour change. 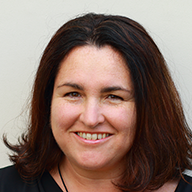 Simone is Senior Lecturer in Social and Community Health at the University of Auckland (School of Population Health) and an Honorary Research Fellow at Deakin University, Australia.